This is day 21 of the Advent Calendar of USB keyboards. Today, an Atari ST USB keyboard conversion kit. I've been asked to build a few of these or assist with conversion projects on Atari STs. 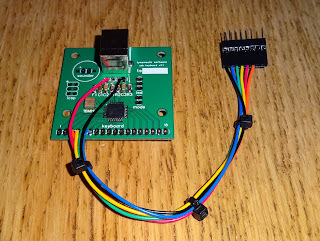 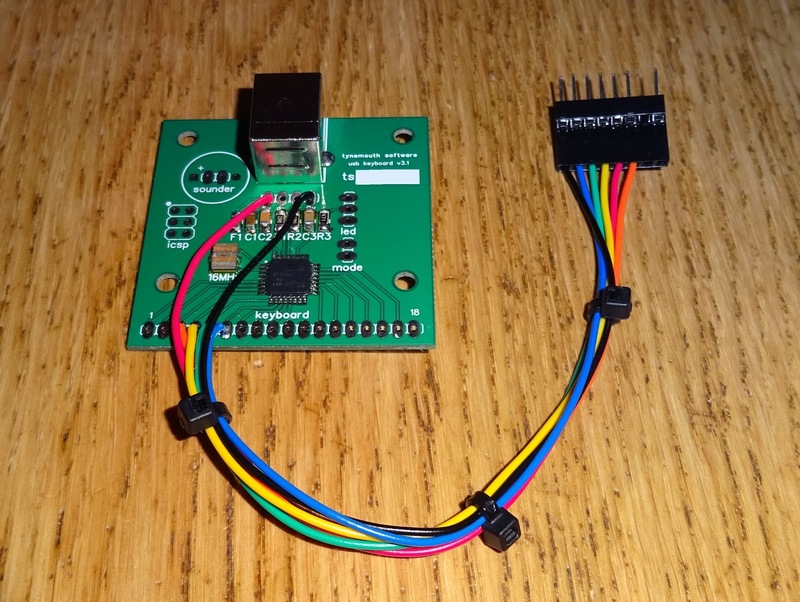 The conversion is easier than something like the Amiga 500, as it uses a standard serial protocol, albeit at the slightly usual baud rate of 7812.5. The serial cable from the keyboard is unplugged from the ST and plugged into the lead from the USB keyboard controller. 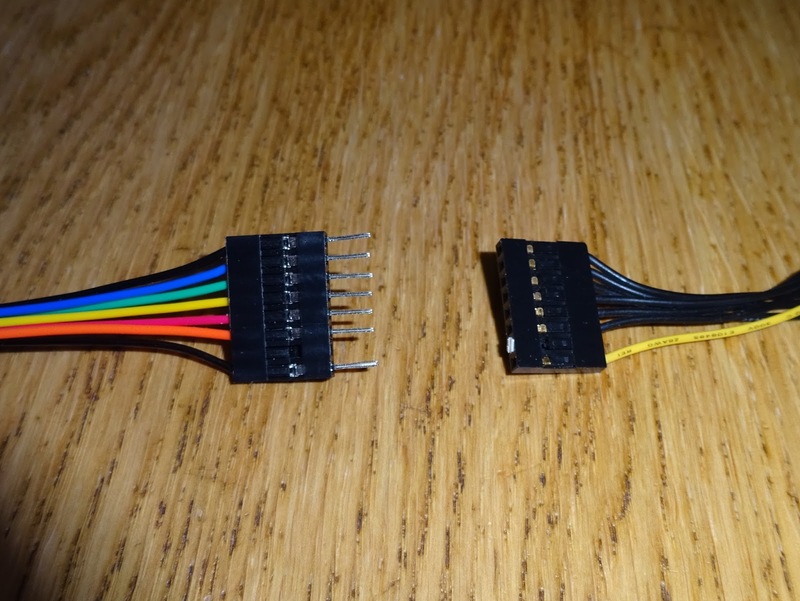 The cable is polarised to connect only one way. 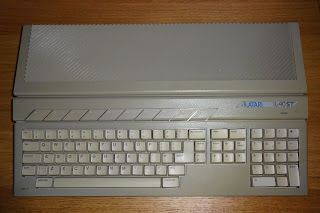 The USB keyboard controller is mounted to the case at an appropriate position, either with the USB socket facing outwards, for USB keyboard use, or mounted inside if you are adding a computer of some description. 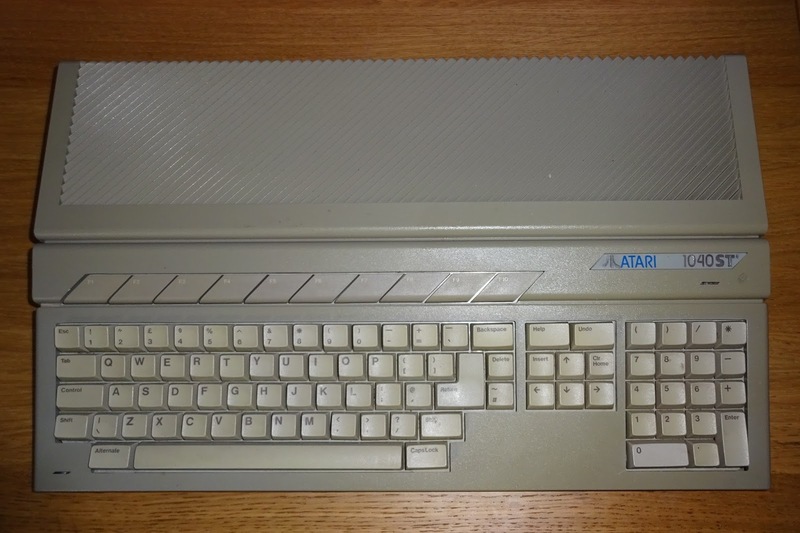 Most Atari ST keyboards includes two 9 way D joystick ports which can be accessed from the underside of the Atari. 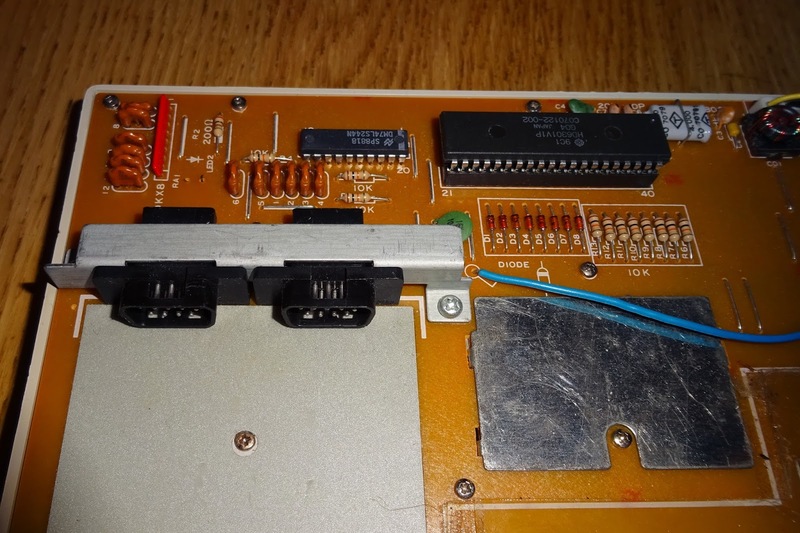 I understand the early smaller 520ST with no internal power supply or floppy drive has a different arrangement, but I have not been able to test this controller with one of those. 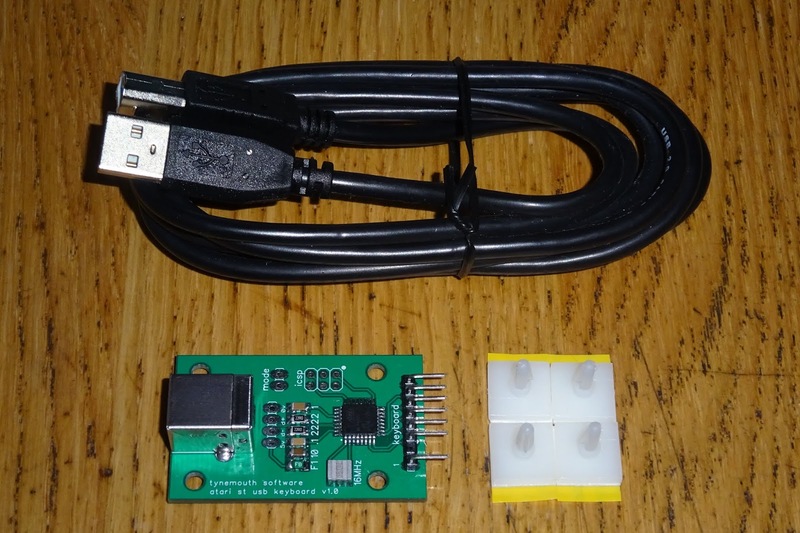 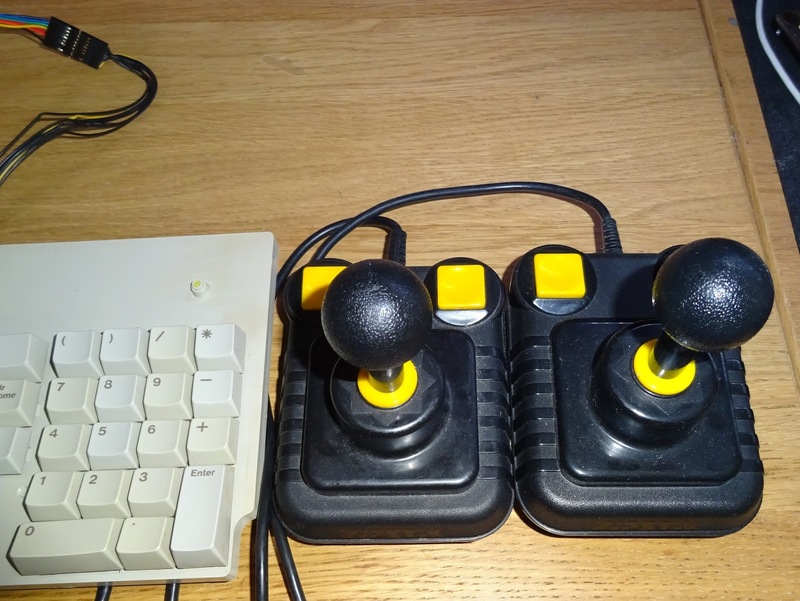 These will appear as USB joysticks alongside the USB keyboard, so you can use original Atari / Commodore joysticks. 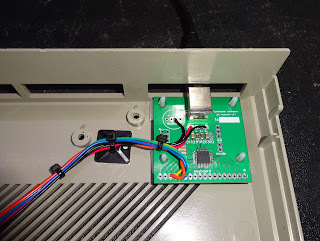 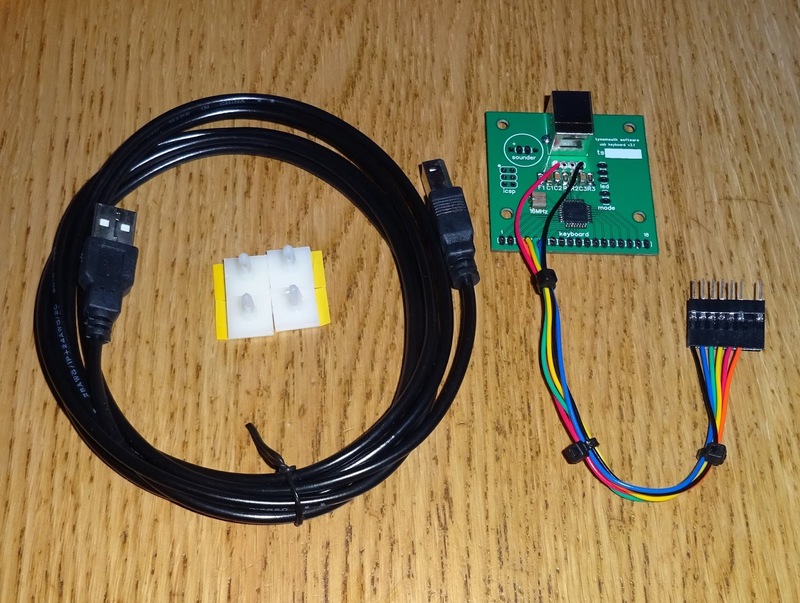 The Atari ST USB keyboard conversion kit consists of the controller board, mountings and USB cable. A new dedicated version of the Atari ST USB keyboard controller is available from my Tindie Store.